Spacious brand new home w/lots of upgrades & energy saving features w/a 3 car garage! Oversized family rm w/fireplace is open to the spacious eat-in kitchen w/granite counters, tile backsplash, upgraded faucet & SS appliances. Guest half bath on 1st floor. Upgraded 5LVP flooring in foyer & kitchen. Upstairs you'll find spacious 3 bedroom's, loft/bonus area, laundry & 2 full baths. Master suite w/trey ceiling, dual vanity in bath & huge WIC. Large 0.69 acre lot! 20 Minutes to Ft.Bragg. 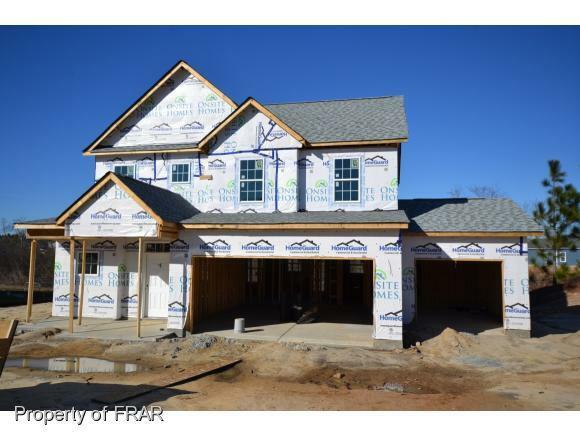 - Pattons Point $179,900 New construction home with 3BR/2.5BA plus a bonus/loft area with a 3 car garage on over a half acre lot. Lots of upgrades & energy saving features. Lrg family rm is open to the kitchen w/granite counters & SS appliances. All bedrooms, loft/bonus & laundry rm upstairs. 20 Minutes to Ft.Bragg! Selling Office: Fathom Realty Nc Llc.